This interview has been translated. Interview originally published in the blog Social media en investigación. In order to rise to this challenge, aquaculture is one of the most viable alternatives to provide Humanity with the necessary protein. It currently plays a vital role worldwide in the fight to eradicate hunger and malnutrition, providing protein-rich food, essential oils, vitamins and minerals for a wide sector of the population. 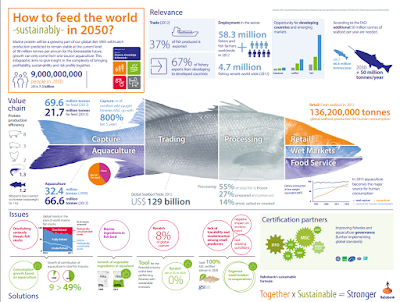 Looking to the future, FAO estimates that by 2030 over 65% of seafood will come from aquaculture”. 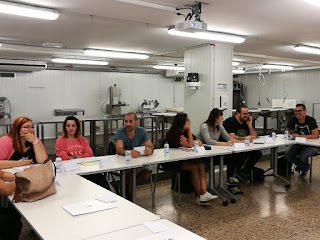 Today in “A talk with the experts” we take a look inside the Institute for Research and Technology in Food and Agriculture (IRTA) to learn about aspects related to their line of research and how they back innovation. We will be guided by Cristóbal Aguilera Jiménez (@CAguilera2), Innovation Manager and author of the blog on aquaculture: Historias acuícolas: La acuicultura desde dentro.